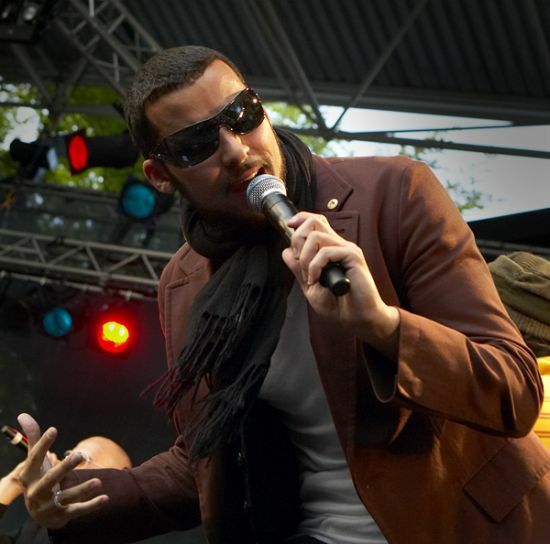 Outlandish are back for full power in Denmark after their successful tour in the US. Rumours are wandering around in Denmark that Outland have been discussing with a few recordcompany’s in the states, containing million-dollars deals (!). Yesterday Outlandish played at the Danish familiy place Friheden in the next biggest city in Denmark after Capital Copenhagen, namely Århus. The concert was only given 3 out of 6 stars in the Danish musicmagasine Gaffa…… hmm? But they are probably a bit tirred of playing the same tracks and procedurs over and over again I bed. To see some few pictures from the concert go click here. ~ by outlandishlook on May 26, 2007. Of course Outlandish should go to Morocco – the to arabian members are islamists! isam is soo good! may Allah (SWT) bless him and Outlandish themself too! peace, love and bless you all!!! WHEN ARE U GUYS COMING TO PALESTINE? !WE NEED U HERE! isam u are the best!! i love u!!!!!! u are just the best guys!!! !